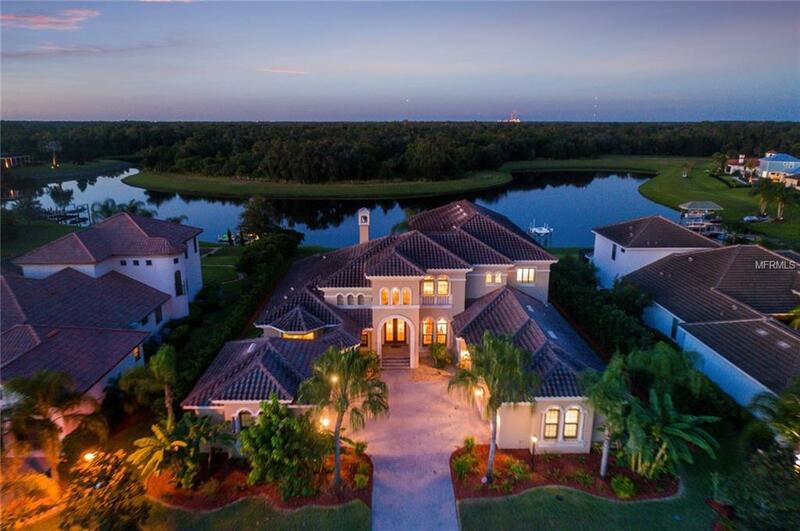 STUNNING MANATEE RIVER ESTATE ON 1.26 ACRES! Experience waterfront living in this majestic 4 bedroom, 5.2 bathrooms custom Arthur Rutenberg home in Winding River.Nestled on the banks of the river,this opulent home will surely impress with it's stately presence & award winning design.Surrounded by towering palms,the long brick-paver driveway will lead you to the beautiful front entry.A gorgeous sitting area will welcome you into the home,accented by coffered ceilings,a warm fireplace,& a wide frameless picture window offering stunning views.Host family meals with a gourmet kitchen featuring gleaming granite countertops,built in ovens, wine cooler, beautiful wood cabinetry with display cabinets & crown molding.Wood accents throughout give the home a warm touch, as seen in the grand stairway,archway trim & even the wood-paneled elevator.Wide picture windows in the breakfast nook & living room offer spectacular views of the river.Retreat to the downstairs masters oasis with balcony access & relax in the en-suite bathroom with center soaking tub,dual vanities,semi-frameless glass shower & a wet bar area with wine cooler.Upstairs there is a second master with views of the River & access to the balcony. 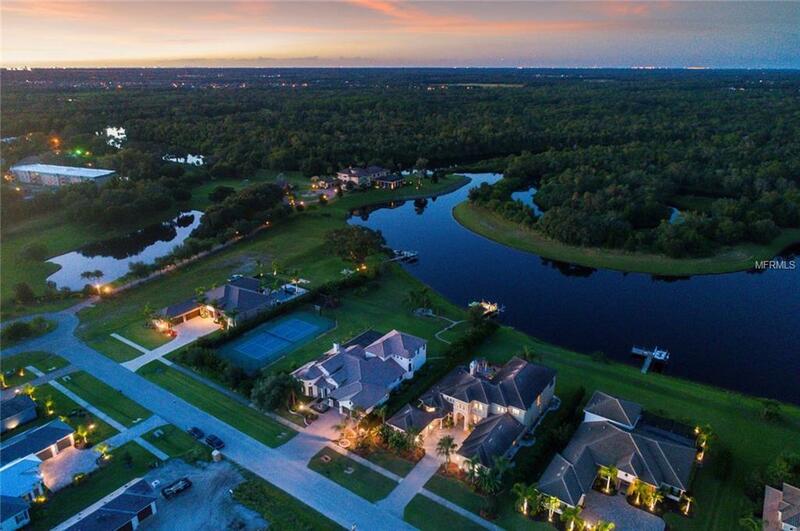 Entertain guests in a comfortable home theater or in the bonus room complete with a wet bar & pockets sliders that lead to a large wraparound balcony.Step outdoors & enjoy the summer kitchen and covered lanai while sitting in the heated infinity pool maximizing the river views. THIS HOME IS SIMPLY INCREDIBLE! Additional Lease Restrictions 6 Month Minimum Lease.